Nowadays more and more people are being made aware of the benefits of consuming cannabis resin extracts or concentrates, they are more efficient, with higher purity and potency, they have better flavour and give relief more quickly than smoking or vaping flowers. Indeed, in California, cannabis flowers currently make up just over half of the market (55% in the 2nd quarter of 2017. ), with extracts making up the remaining 45%, and according to figures from Colorado, another beacon of legalisation in the US, the concentrate market is growing at an astounding rate, with sales increasing by 125% from 2015 to 2016, compared to an 11% rise in flower sales and an 53% rise in edibles. Solvent, Non-solvent, Solventless and Solvent-free. What?s the difference? These terms are increasingly common to see in the menu in dispensaries or cannabis clubs, but they can cause some confusion, so let?s examine the real meaning behind them within the context of the cannabis world. Solvent extracts are those that are carried out using a (generally hydrocarbon like purified butane gas) solvent to dissolve the active ingredients and separate them from the plant material. Solventless or non-solvent is a label applied to products that have been extracted mechanically, without the use of solvents. Now, here?s where it can get a bit confusing? Solvent-free is a term used to describe products that were originally extracted with a solvent but later distilled in a laboratory to remove any trace of solvent residue. So they started as solvent extracts but now are 100% free of any residual solvents, as opposed to a well-purged BHO which will always contain a certain, however minuscule, amount of solvent. When we talk of hash, we?re usually referring to dark block resin imported from hash-producing countries like Morocco, Lebanon, Pakistan and Afghanistan. Hash has a very long history and is produced in large quantities using traditional methods that vary according to the country, but often involve drying plants in full sun and vigorous beating over fine screens to collect the resin heads. These are then heat-pressed into blocks for export. Quality can vary wildly, with the very finest blonde hashish commanding high prices in the coffee shops of Amsterdam. Most of what is produced, however is of medium to low quality, has a very low THC content, from 6-17%, some CBD and very low terpene levels, with a typically generic and degraded terpene profile and containing much contamination in the form of plant matter as a result of the lively bashing the flowers receive as the farmers try to shake all the resin off the plants. In the worst cases, import hash has been found to contain such adulterants as henna, shoe polish, rubber, beeswax, animal dung and pine resin, among other unsavoury substances added to increase bulk or to make the hash softer and appear of a higher grade. Fortunately the increase of home growing has reduced the demand for imported hash somewhat, and at the same time awareness of issues surrounding quality have increased in both import and export countries so, at least in Morocco, farmers and hash producers are beginning to change methods and export a much higher grade product, as you can read in our article Origins and evolution of Moroccan hash. A traditional Indian method, this is possible the simplest, most straightforward method of hash production, and one of the oldest. No equipment is required, as the process involves hand-rubbing live (on the plant or freshly cut, not dried) cannabis flowers to remove the resin. 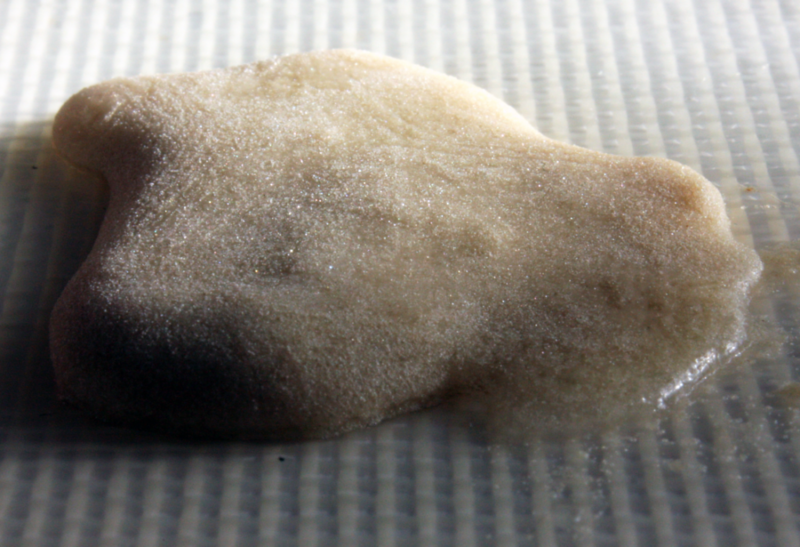 This results in a hash that is much more squidgy and soft than that beaten over screens and has a good reputation for high quality worldwide, especially for its higher terpene content. Charas is normally quite dark in colour and sold as balls or sticks and traditionally would be smoked in a stone chillum by Sadhus, the Hindu monks for whom it plays an important part in their rituals and religious practices. While it is made in other hash producing countries, Indian charas is widely accepted as being the best quality, with different regions gaining a reputation for the standard of their produce, with perhaps the most famous and demanded being Malana Cream from the Parvati Valley. This is hash made with light agitation of dried buds over a fine mesh screen, basically a refinement of the traditional sieving process updated to yield a much higher quality end product. Indeed, true connoisseurs consider the highest grade of dry sift to be the absolute pinnacle of extracts, this is static-cleaned dry sift, refined with the help of silk screens and static electricity to contain 99% pure resin heads. Made under optimum conditions of temperature and humidity with expertly-grown flowers of selected genetics, this technique can produce an extract of astounding quality, light golden coloured with a sand-like texture and a terpene profile as near to the plant as possible, untouched by water or solvent. The big drawback of this technique is the small return achieved from the starting material at this quality, often as low as 2%! Much higher yields of dry sift can be achieved by using a tumbler machine fitted with a screen mesh drum to agitate the flowers or trimmed sugar leaves. Yields and purity will vary in relation to the quality of the material and the duration of the spin, with more and more contaminates being introduced to the hash as time passes and the vegetable matter breaks up from agitation. Most of the dry sift that is commercially available in dispensaries and clubs will be of this quality, denominated ?farmers grade? with a THC content of anything from 30% to 50%, compared to connoisseur quality static dry sift which can reach as high as 75-80%, and is reflected in the premium price it commands, within reach of precious few. Good quality dry sift will have be light coloured without any green tinge, and have the appearance of desert sand, and when pressed between finger and thumb should readily stick together and form a ball, rather than breaking up again, which would indicate a high content of vegetable matter such as trichome stalks and pistillate hairs. If you’re interested in trying it out for your self, here’s a post about how to make dry sift. 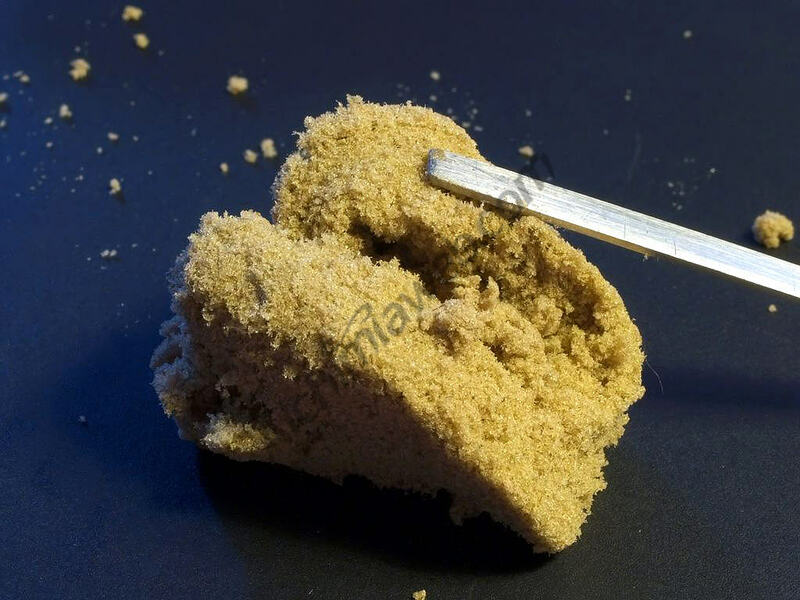 This is the purest form of dry hash, resin heads that have been subjected to a thorough cleaning process employing various screens and using static electricity in one form or another to remove anything apart from the trichomes, a long and laborious process that results in astounding quality hash but very low yields indeed. These two methods are basically super-cooled dry sift, where the material is exposed to extremely low temperatures (-78.5ºC in the case of dry ice, and much, much lower for liquid nitrogen) and then agitated on a mesh screen to separate trichome glands from leaf matter. These methods both have the advantage of being very fast processes, enabling a full extraction in a matter of minutes, and offering very good yields compared to regular dry sift. The disadvantage to these extractions, at least from the point of view of a hash connoisseur, is that the extreme temperatures being used lead to the leaf matter becoming so brittle that if not treated with utmost care It can break down to form a fine dust that contaminates the end result, often leading to hash with a green tint. 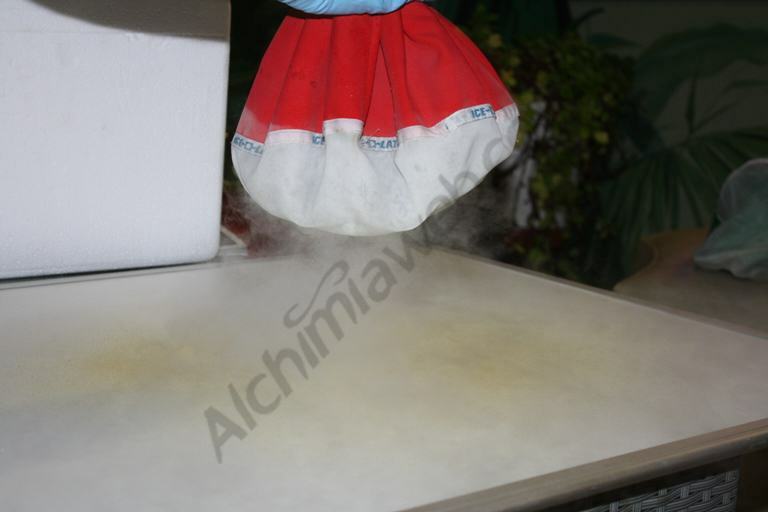 We’ve written an article about how to make dry sift with dry ice, please check the link! In the last year or so, some industry leaders have been experimenting with this method in an attempt to produce the most terpene-rich solvent less extract possible, comparable to “Live Resin” a hugely popular form of BHO . Fresh frozen dry sift is made with freshly-harvested frozen buds, tumbled in a pollinator machine adapted for use in a sub-zero environment (a chest freezer or an industrial freezer unit) and dried via liophlization in a freeze-drier after separation. This means that the cold chain is uninterrupted throughout the entire process of extraction and drying, resulting in a total retention of terpenes and some of the most intensely flavoured extracts that this writer has ever had the pleasure of tasting. These are all terms used to describe the same product, cannabis resin extracted from the plant material using very cold water, ice cubes and agitation. Buds or trim are stirred by hand, or spun in a portable washing machine, then specially made mesh bags or screens are used to filter the water and separate the resin heads from the vegetable material and then further separate the trichomes according to size. Like most things, the quality depends on the starting material used, and bubble hash can be of varying quality, with the lowest grade being dark brown pressed resin, little better in appearance and purity than import hash, but on the other hand, when well-cultivated flowers are extracted with the utmost care, the end result can be of the utmost quality, an exquisite golden caviar approaching BHO and Rosin in appearance, terpene content and cannabinoid content. 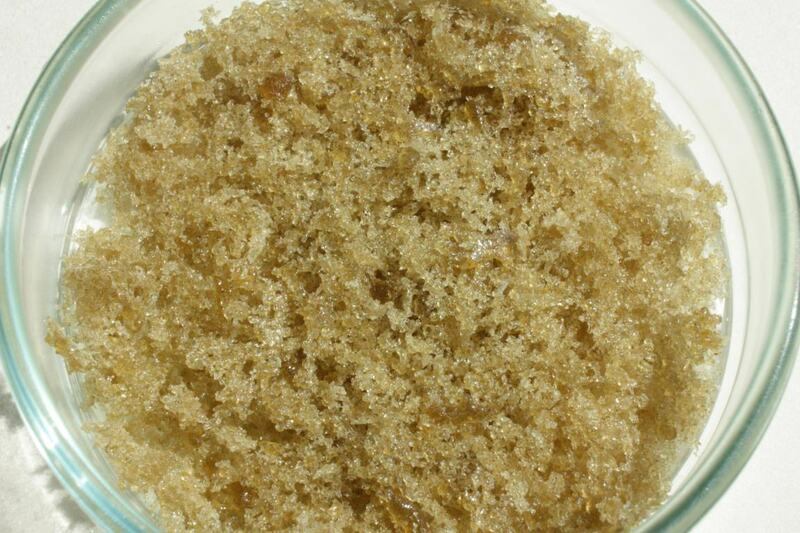 Indeed, many connoisseurs consider bubble hash to be the finest of all concentrates. While we?re on the subject, it?s a good time to clear up an issue that is the source of frequent controversy and argument amongst extractors? the idea that water hash, bubble hash or ice-o-lator is somehow not a solventless extract because it?s made with water, which is known by many as the universal solvent. Unarguably, H2O is indeed a solvent and a great variety of things will dissolve in it. However, this mechanical separation technique involves employing water not as a solvent, but simply as a medium that allows us to create the perfect conditions in which to carry out the extraction by which the trichomes sink and the plant matter floats. At no point are the resin heads dissolved in the water for later recovery, and while a certain amount of water-soluble terpenes may be taken on by the water, this cannot in any way be considered a solvent extraction. 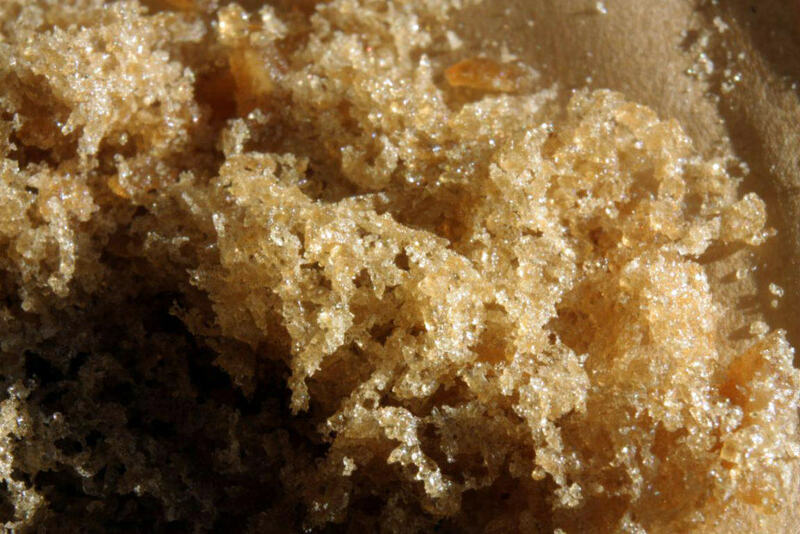 Ice water extract made with freshly cut plants frozen immediately after harvest, this makes the most terpene-rich and therefore most intense-tasting hash, and while bubble hash made with dried and cured flowers may boast less flavour, it results in a more physically stable product that is far less likely to degrade during long-term storage. We did a head-to-head comparison between fresh frozen and bubble hash made with dried flowers, check it out here. Possibly the newest method of solvent less extraction, Rosin involves extracting a full-melt oil of high purity from flowers or hash using nothing more than heat and pressure. This method in its current form came to popularity around spring of 2015 when Phil “Soilgrown” Salazar exposed the technique on Bubbleman’s weekly YouTube show Hash Church, showing just how easy it was to produce high quality oil with as little equipment as a hair-straightening iron and some parchment paper. This revolution democratised oil-production, placing it in the hands of anybody w, no longer was it necessary to face the risks and danger of butane extractions, or to spend vast sums of money on closed-loop extraction systems to get high quality resin products suitable for dabbing. These days the industry has expanded and the market is full of rosin presses suitable for all pockets, from heavy duty industrial presses capable of exerting more than 30 tons of pressure for the professionals, to small hand-held units ideal for beginners. The final texture of rosin can vary greatly from shatter to wax to budder to sauce, and this well depend on many factors, from the condition of the starting material, the genetics used, temperature of press and subsequent storage. As a general rule, flower rosin will be tastier, while hash rosin will be more potent, but there will always be exceptions to this rule. This is produced with cannabis buds, and the best results will come from flowers that have been dried but not cured for very long, as the longer the cure, the more the trichomes will oxidise and lend a darker colour to the extract. Unlike with BHO or Bubble Hash, it’s not really possible to process freshly-harvested buds and satisfactorily produce “Live Rosin”, the moisture content of recently-cut flowers is far too high to yield a stable product. Find out how to make it for yourself here. As the name implies, this is Rosin pressed using Hashish as the starting material. and using some kind of filter, such as specially made rosin bags or coffee filters to keep any plant matter contamination out of the extract. Because we’re dealing with a product that is already in a concentrated form, the yields obtained are typically much higher than for flower rosin. All kinds of hash can be pressed, though the yields and the quality obtained will depend entirely on the quality of the raw material, with street import hash producing around a 20-50% yield of dark oil with typically floral hash terpene profiles while a full-melt single-source bubble hash can produce yields of up to 90% of an almost transparent, golden/yellow coloured oil with an aroma that’s very faithful to the original plant. One of the more recent novelties has been the introduction of “Live Rosin”, a term referring to rosin pressed from Fresh Frozen bubble hash, resulting in a very sappy and terpene-heavy extract. We’ve written an article detailing how to make your own Hash Rosin at home, check it out here. A new process that is still very much in its infancy, this is made by taking terpene-rich rosin and re-pressing it at a very low temperature (around 55-60ºC) through a 25 micron screen. This separates the rosin into two fractions, the filter will contain yellow/white crystal-textured THC-A and a high-terpene sauce will ooze out onto the parchment. While this may or may not result in 100% pure THC-A, it’s certainly an interesting product for those who prefer medicating with fully solventless extracts. We hope this guide will be useful to better understand what are solventless concentrates and how they’re obtained. Dilini Vethanayagam, Stewart Pugsley, EJ Dunn, David Russell, J Michael Kay, Christopher Allen: Exogenous lipid pneumonia related to smoking weed oil following cadaveric renal transplantation. The information is very nicely shared, indeed very interesting and great learning to have.. Please keep me up to date on other blog postings you do. Whatever I’ve found here about this it seems to me pretty outstanding from all side. I hope you post again soon.